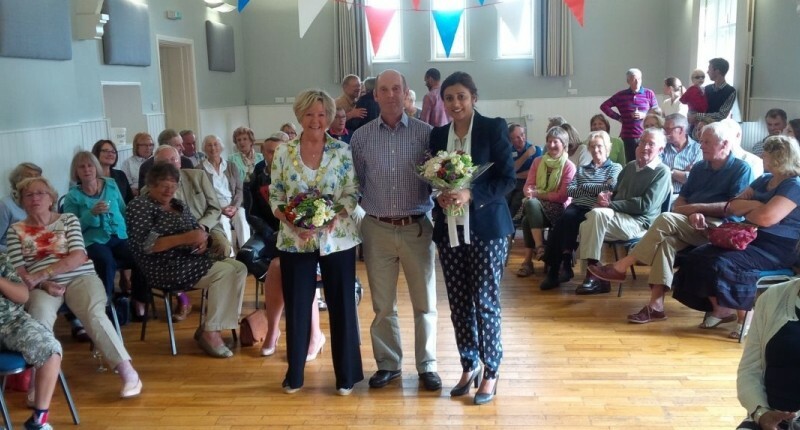 Following extensive refurbishment over a period of five years, local MP Nus Ghani performed the opening ceremony at Eridge Village Hall on Saturday 25 July 2015. The refurbishment completely modernised the hall, with the final stage of renovations bringing new toilet and baby changing facilities. It is now a state-of-the-art facility, supporting the community by serving as a venue for weddings, yoga, parties, musical performances and other events. “It was a real pleasure to be with the people of Eridge, who demonstrated the very best of community spirit by coming together to celebrate the reopening of the village hall. This facility is a wonderful expression of what it means to be a rural community. Eridge Village Hall is a UK registered charity (number 305230) and managed by volunteers. Income generated by the hire of the hall is reinvested into the maintenance and improvement of our facilities, safeguarding this beautiful community asset for future generations. Hire rates are very reasonable and we also offer a discount for Eridge residents – click here for details.